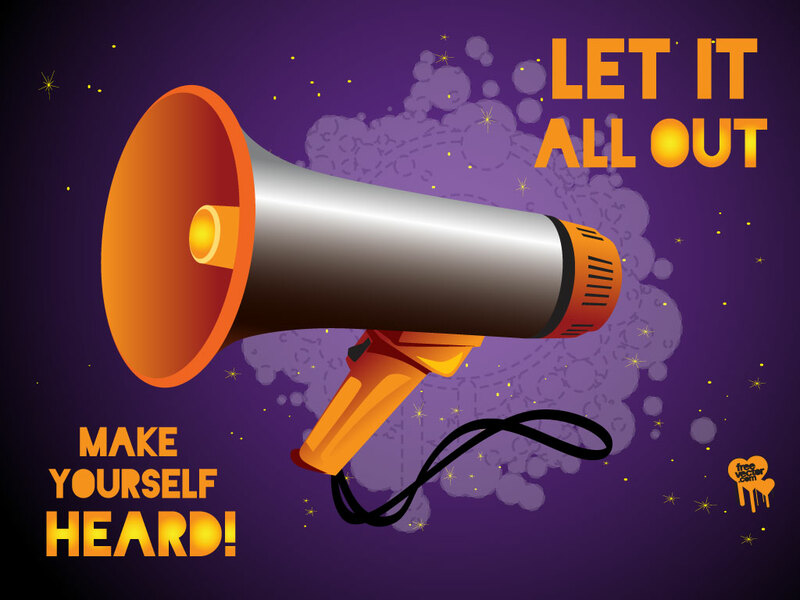 Let it all out, make yourself heard is the message in this vector design. A megaphone is the central graphic in this inspirational design for social commentary. Download for your newsletters, posters and fliers as AI and PDF. Tags: Communicate, Demonstration, Loud, Megaphone, Shout, Voice.